I can totally see the reason you were matched up with Jordan Brewster. I'd be scared to see who I'm compared to. I doubt if I would know any of them even if I looked like them. Lol! Is your new blog name going to be snarkybrad? 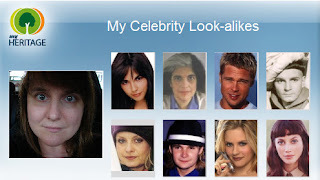 i look 59% like gwyneth paltrow! however she takes MUCH better pictures than me so i won't be posting mine anytime soon.